People play golf professionally as well as many players out of the hobby. Those who play golf because of their hobby like to play golf in different countries. 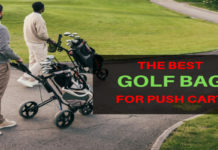 By doing this, on the one hand, people can play golf and on the other hand, they become able to have the fun of traveling. Which can be said killing two birds with one stone. 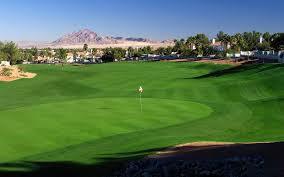 Every year, a large number of people go to play golf in different popular destinations for spending their vacation. There are some places in the world that are famous for playing golf. People like to go to those spots from distant places for playing golf. Those who want to play golf for spending vacation can choose some interesting destinations. 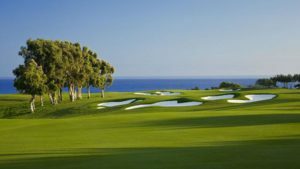 Today we are going to discuss 10 destinations that are suitable for playing golf where you can happily spend your holidays. Today we would like to discuss the best golf destinations in the world in details. We will try to introduce you to the world’s popular golf destinations. Our review will include the introduction of all of the places, history, and background. As a golf fan, you really want to know which places people like to play more. So, now we are going to the original review without any delay. Let us get acquainted with the popular places now. 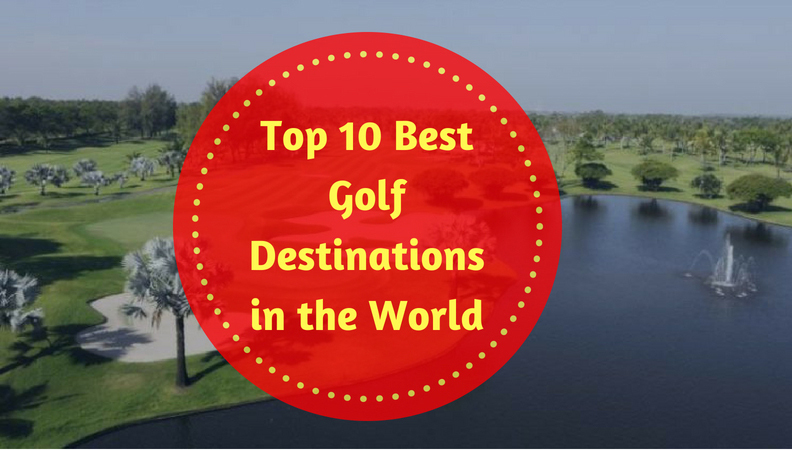 We will discuss the 10 most popular golf destinations in the world in our review. The discussions will include the location of those places, why these are famous, how many people or golf fan attend there etc. The places which we have selected as the best golf destinations in the world are here. Here are the separate descriptions of each place. This golf course is located in Phuket, Thailand. The beautiful mountain view of this golf course gives some extraordinary natural flavors to the golfers. On the one side, there are high mountains and on the other side, people play golf in the ground field. This golf course is suitable for all levels of golfers around the world. The green grass surrounding of this course gives a different natural taste to the golfers. Because of a huge banyan tree, its name was the Banyan Golf Course once in a time. In 2009, the name of this golf ground was changed to Laguna Phuket Golf Club. After the change of name, modernity touches it. In 2013-14, it has been reconstructed and upgraded to the latest golf course. At present, the international golf game is playing here. Not only for the golf club but also Laguna Phuket is quite popular among tourists as a natural beauty spot. You can spend some of your moments playing golf in such a nice place. This is a modern and sophisticated field for playing golf. This place is reserved just for playing golf. Many international tournaments are held here. The specialty of this golf course is that it was designed by renowned golfer Nick Faldo. This name is known to you, is not that? Yes, you got that. We are talking about Nick Faldo, the 6 times Major Golf winner. He has designed the club with his own unique imagination. As he was a golfer, so he knows it well how to design the golf course that will facilitate the golfers. There are 18 holes in Angkor Golf Resort. And the whole course is spread over 7209 yards area. This course, surrounding by a lake is tranquil for the eyes of everyone. You will get excellent natural feelings while playing golf. This is kind of a favorite golf destination for the golfers around the world. You can go there for passing some good moments. Well, tell us how about it if you can at the same time play in the golf course and get the wonderful view of the sea and the hills? Are you thinking how this is possible all together? No matter what you think, the Princeville Makai Golf Club is like so in the reality. There are hills in one side of the Princeville Makai Golf Club and the blue water of the sea on the other side. The golf club is standing in the middle of these to enjoy the beauty. Once you play golf there you will want to go back over and again to play golf. It will be a great moment for you to throw the ball towards the hills standing by the sea. To take the taste of playing golf in this wonderful golf course, you have to go to Hauai. It is one of the best golf destinations in the world. It is like you can spend your vacation playing golf as a dream. This extraordinary golf course is situated on the banks of the Punta Cana. It is basically one of the three golf clubs of Punta Cana resort. As it is located in the coastal area, it is very beautiful to look at. It seems that the creator himself has enhanced its beauty. It is like a dream that you are standing on a rock dipping in the water and hitting the golf ball. The air coming from the ocean will remove all of your fatigue. It is very popular and dreams course among all the golfers of the world. There is no other fool like the one who does not want to play golf here. The time you spend in this course will give you the feeling that you are living in another world. On the one side, there is a very natural beauty and the golf course is beside it. What more do you want as a golf lover? You can go there to spend a few holidays. 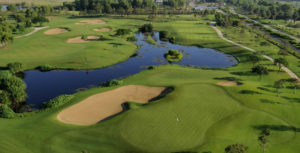 Sand Valley Golf Resort, Wisconsin is one of the best quality golf courses among private golf courses. Here, there are multiple challenge courses. You can choose any course you like to play golf. You can play par-3 and par-4 if you want. And the service of the resort is also one of the coolest one. 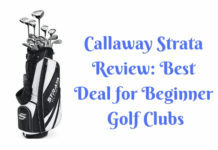 They will offer you all kinds of a golf cart. The atmosphere of this course, situated in a flat land, will amaze the eyes of anyone. This golf course was built under the supervision of skilled architects. If you want to take golf training, you can take here. So those who go to different countries to play golf occasionally can go to this wonderful resort once. Its clean environment, safety measures, trees, and green grass will really amaze you. 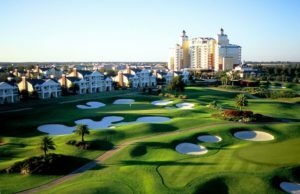 If you play golf in this resort, it is sure that you will be able to get the return of your money. Every year, a large number of people go to Bangkok, the capital city of Thailand. In Bangkok, you can see a lot of things within a short time. So you can also choose the Legacy Golf Club for playing golf. A lot of people visit here every year and play golf as well. This course is located in Bangkok, the heart point of Thailand. There is an echo park on one side of it and on the other side, there are two lakes. It is not possible to make you understand the real beauty of it by writing. When you will go to the golf course with your golf cart yourself, then you will understand whether we have told the truth or not. This is a Jack Nicklaus standard golf club. Do you know what Jack Nicklaus golf club is? Basically, Jack Nicklaus golf club is the one that has 7100 yards area and lots of holes. Here you will find all the features of Jack Nicklaus golf club. 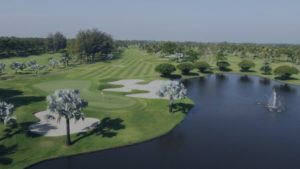 Playing golf is not a bad idea while you are visiting Thailand. You all know the name of Tiger Woods as the golfer. He is a legend in the golf world. For his achievement, Thailand has named the course name after Tiger Woods. If you see the Bird’s eye view of this golf club, then your head will become crazy. The location of the field is by the lake having blue water. There are green grasses in the whole of the ground and many small trees a little after little. The white leaf trees will give you the feeling of another planet. There is hotel adjacent to the ground. So you can keep all your things in the hotel and play golf with just the necessary carts. When you are tired of playing golf, then you can sit down heading the lake and remove your tiredness enjoying the natural winds. This course is very famous to all golfers. 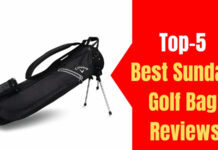 They have won 8 times the best golf clubs in Thailand. Do not forget to try here if you visit Thailand. International matches are held at this golf course in Florida. Here there are the matches of many tournaments including the PGA Tour and the Golf Hall of Fame etc are playing. Every year, a large number of people come here to play golf. But it has many differences compared to other golf courses. Where other courses are located in a quiet environment, it is located in the city area. Being situated beside the city, there is more impression of modernism in it. International matches are being played here so you can get all the features of international standard. There are small holes in the field. If you look at the bird’s eye view, the holes will seem par hole. What more we can tell about the beauty of this field. If you see the grass, it seems like someone has spread the carpet. You can spend this vacation in this course playing golf. Michigan is quite famous for the golf courses. There are plenty of golf resorts there. Belvedere Golf Club will be in the good positions among all of those courses. This is because its construction style, location, natural environment are all the best in all aspects. 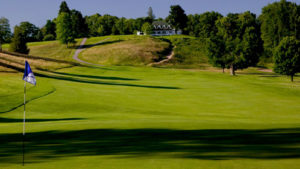 Not just in Michigan, it is one of the best golf destinations in the world. There are a large number of tourists visiting here to play golf. Especially when the vacation starts, it is difficult to get the place. The whole park becomes crowded by the occasional golfers. So why do you stay behind of others? Try to go to play golf at least once in this wonderful place. It is not surrounded by trees like other golf courses. The whole field is empty so you are free to hit the ball as you wish. Recently, the authority has been reconstructed it as the preference of the original architect. This is definitely the place to visit. Anybody will like this golf course situated by the sea. If you could play golf listening to the roar of the sea, it would not have been bad. To get such a taste, you have to go to San Diego. Here nature has poured all of its beauty. You would never be tired if you enjoy the sound of the water and the winds. Here some local trees have been planted, which are nowhere to be seen. The trees have increased the beauty of the field a lot. 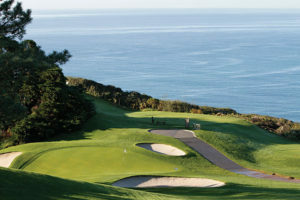 This golf course is a lucrative place for the golfers, because of those unique trees and it is surrounded by seashores. Here you have to have a pre-booking to play golf. 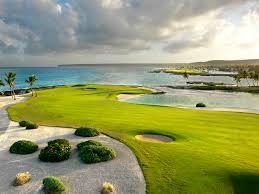 To enjoy the wonderful natural sea environment by playing golf, you have to go to Pines North. Not going to play golf here means you are going to miss a lot of things. We have so far talked about the best place for playing golf. Hopefully, we have been able to provide you with all the information you need. We have presented a brief introduction to places. There is no doubt those are the best golf destinations in the world. You can gradually spend time playing golf in all places. You can have a target to go to two destinations a year, then you will be able to go to all destinations in 5 years. 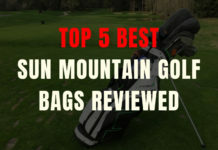 These are not only golf places but also a great place to roam. So if you want, you can play golf in those places and take your family members. You will play golf and the rest of your family members will enjoy the beauty of nature. 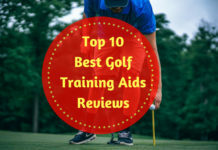 Hopefully, we have been able to suggest you a lot of places to spend time playing golf. Now start playing golf in those popular destinations.